Is Fantasy Brown a Marble or Quartzite? | Tate Ornamental, Inc. There are thousands of natural stones available in the world right now. But every now and then there comes a granite, marble, or quartzite that we just can’t get enough of, we get regular calls about, and homeowners simply must have. Fantasy Brown is one of those stones. Cool gray waves and smooth swirls tumbling diagonally across the slab, stunning mineral formations, and the faintest hues of green and rose make this a truly unique stone. But what is it? Is it quartzite as so many fabricators label it or are the suppliers who categorize it as marble correct? The answer is a little complicated. Most broad stone types like marble or granite include a wide variety of different mineral compositions. Some marbles are much harder than others, and the same goes for quartzite. So, the precise geological term for a stone is not always a guarantee of how the stone will last or stand up to normal wear and tear. Geologically speaking, it contains the mineral calcium carbonate, which is a defining feature of marble. 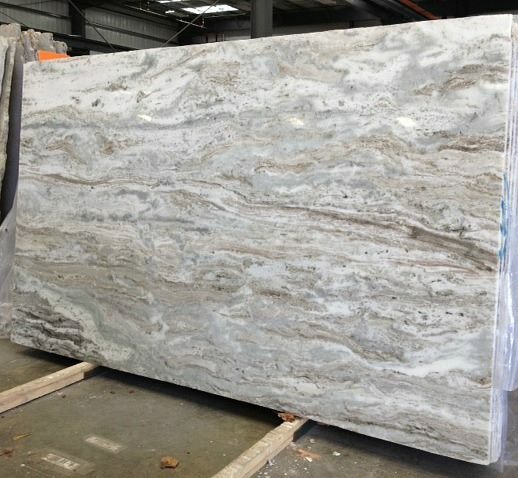 However, it’s an extremely hard marble with a very low risk of etching or staining. In other words, it behaves like a quartzite. 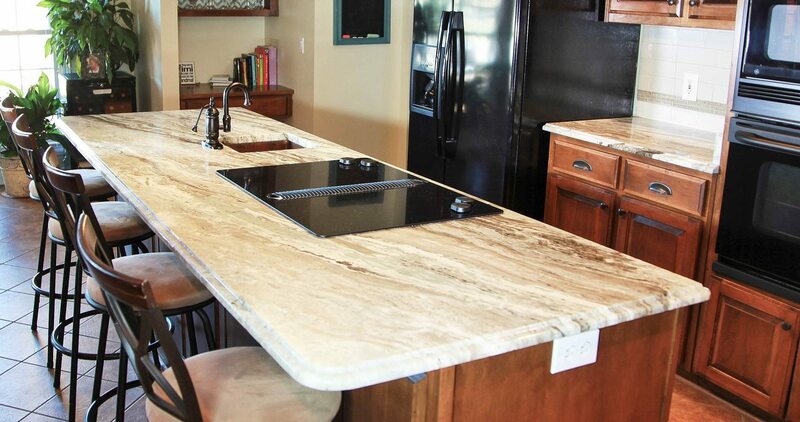 Fantasy Brown Quartzite is a durable, reliable countertop choice. With proper sealing once to twice a year, you won’t have to worry about etching or staining. Quartzite is scratch resistant, but we don’t recommend cutting on your natural stone, as it will dull your knives! Marble vs. Quartzite? What’s the Difference? Both are metamorphic stones, one of the three main types of rock (the other two are igneous, which includes granite, and sedimentary). While marble comes from limestone, quartzite is created when those same “metamorphosing” forces of heat, pressure, and chemically-active liquids come into contact with sandstone. This difference is what gives quartzite its glassy surface. Quartzite can range from slightly harder than marble all the way to harder than granite. 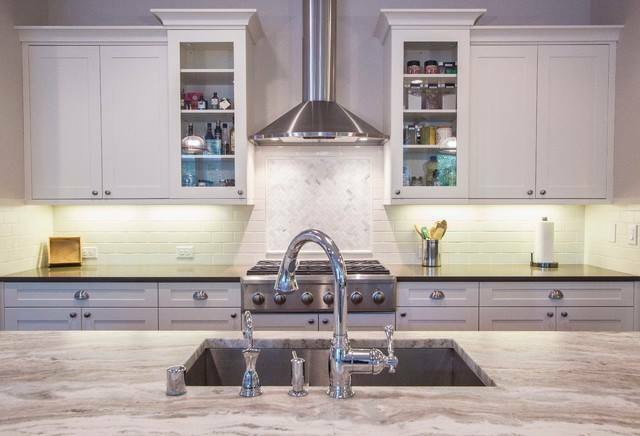 The best way to make sure you are getting the right marble or quartzite for your home is to choose Tate Granite; a fabricator who knows their materials and you can trust to guide you to the right stone for your lifestyle.